Huawei sub-brand Honor has sent out invites for their April 19 event where the company will be launching its new smartphone, the Honor 10. Having said that, the company has also sent out invites for a May 15 London event where the same phone will unveiled. 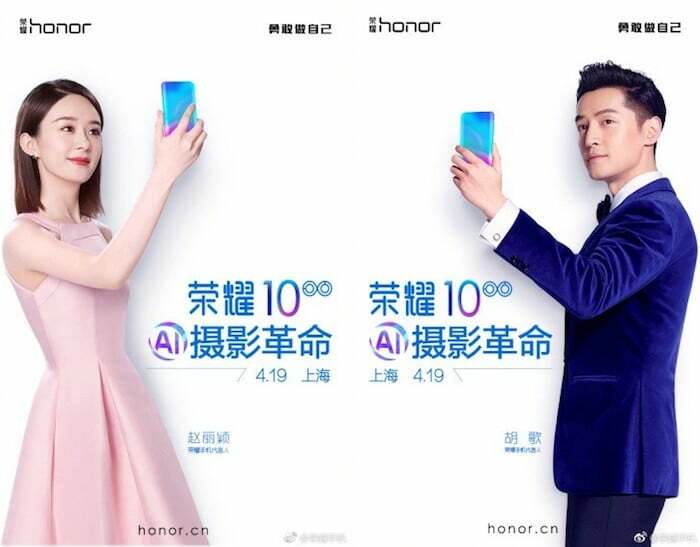 It seems the Honor 10 launch event will take place in China on April 19 while the global launch will happen on May 15. The official press invites for the phone reveals several details of the smartphone. The invite comes with a caption ‘Beauty in AI’ suggesting the smartphone will be equipped with Artificial Intelligence as the invite has a GIP with the shutter icon closing to reveal the phrase ‘AI’. Additionally, new official banner of Honor 10 has been leaked showing the rear panel of the phone. The Huawei P20’s signature Twilight color is all over the images and the phone is held by Chinese actor and singer Hu Ge. A dual camera setup also seems to be confirmed as per these leaked teasers. The rear panel also doesn’t show the rear-mounted fingerprint scanner.The device is supposedly coming with a notched display and the fingerprint scanner is embedded in the bottom bezel. Besides, live images of the smartphone too have been leaked giving us a clear idea of phone’s design. The images show the device however, present a entirely different picture of the upcoming phone. The alleged Honor 10 is seen with a Full Screen frontal display without any bezels or screen notch. It seems to be offering 100 percent screen to body ratio, but these image seems to good to be true. The rear panel as per the leaked images seems to come with horizontally aligned dual sensors and a LED flash. The back panel also seems to be made of 3D glass. 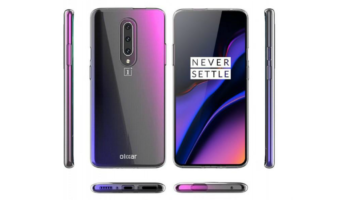 The design of the smartphone so far remains unclear despite the number of leaks and renders released so far. However, details on the key specifications of the smartphone have been revealed. The Honor 10 will be powered by Kirin the company’s own Kirin 970 64-bit octa-core mobile chipset. 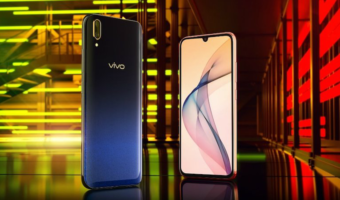 It’s the same flagship processor that powers the Huawei P20, P20 Pro and Mate series smartphones. The phone is supposed to come packing 6GB of RAM and 256GB of storage. As for the display, Honor 10 will come with a 5.8-inch notched screen. It should sport the same 12MP+20MP camera on the back as the P20. The camera would also support the AI to improve captured images. There will be a Honor 10 Pro variant which is claimed to pack triple rear camera setup same as the Huawei P2o Pro. The device is likely to be running on Android 8.1 Oreo OS out-of-the-box with the company’s own EMUI 8 running on the top. 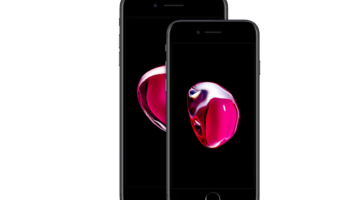 It is also expected to come with IP67 certification, ensuring waterproof and dustproof build. More information can be expected in coming days as the release date of the phone nears.